A marvelous Venice event is here to give a new dimension to the craftsmanship and design of Europe. Homo Faber, organized by Michelangelo Foundation, takes place at Fondazione Giorgio Cini, from the 14th until the 30th of September and welcomes a wide range of designers, creators, architects, fine art students and visitors that have the opportunity to see things in real time, observe conservators at work and speak to artisans about their craft. At this major cultural exhibition participate numerous luxury brands from all over Europe. The vigorously active countries, though, were France, Italy, Germany, the United Kingdom, Portugal, Poland, Ireland, Latvia, Lithuania, Spain, Austria, Czech Republic, Denmark, Slovakia and Switzerland. Through it, every country tries to put fine craftsmanship in the international design spectrum and give recognition to their national master artisans. The variety of arts and disciplines is wide and it includes from jewelry and sculptures to luxury furniture, in order to induct everyone to the modern interior design. A lot of high-end brands will attend the show but what truly stands out is the portuguese culture and its representation at this event. 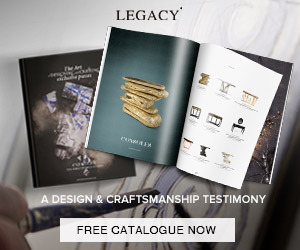 On the concept of honouring the heritage and legacy, two curated pieces represent the best of the country’s historical elements: the filigree imposing jewelry technique with the Filigree mirror, and the renowned hand painted tiles, called “azulejos”, with the contemporary piece Heritage sideboard. 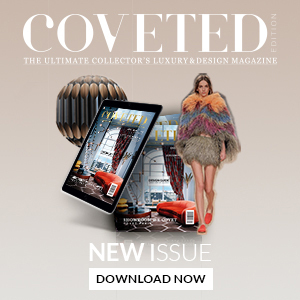 Both pieces, from the Limited Collection by Boca do Lobo, are exhibited at the space Best of European Craftsmanship, which is definitely an authentic experience one should attend!